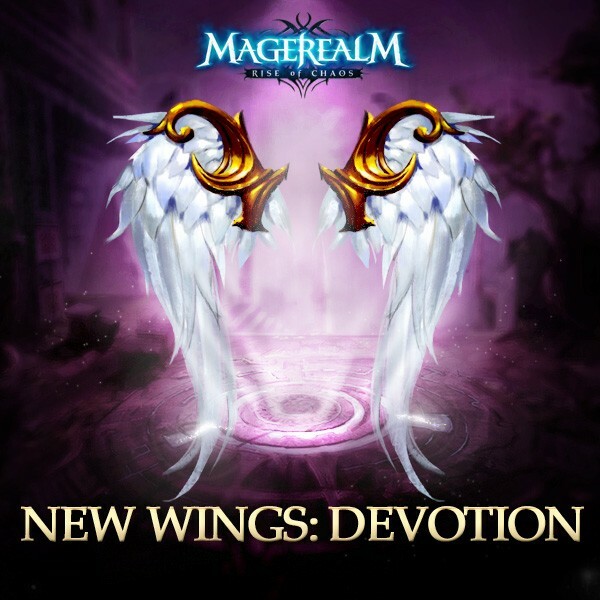 A new set of divine wings has been granted by the Angels to the champions of Magerealm! Introducing Devotion, the magnificent wings worn by the Aspect of Devotion herself. Play the hit action MMORPG today and show off your devotion with fabulous wings or hundreds of other customization options! Keep up with the latest Magerealm news and updates at the official Facebook fanpage and the forums. If you have not played Magerealm yet, now is a perfect time to sign up and start your epic adventure in this completely free to play browser MMORPG!